If you are looking for a little more excitement, do it doors-off! 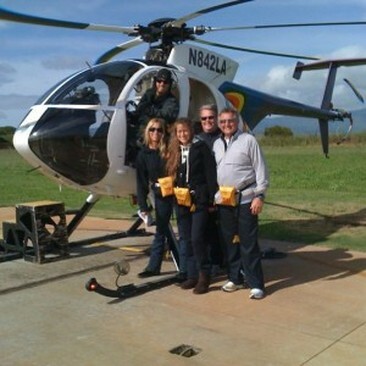 This is HANDS DOWN my very favorite helicopter tour. And by the way, I'm afraid of flying! But this one I can’t resist. If you are going to do it - GO ALL THE WAY! Imagine zooming along with the wind in your hair as you descend through jungle valleys and smoothly pass through rugged canyons. Suddenly, a waterfall comes into view that literally takes your breath away. Words can’t describe what this feels like. It’s a MUST DO if you are looking for some serious adventure and amazing views. Each tour is unique. Weather and lighting conditions vary throughout the day, making the above list of scenic areas a guideline of possibilities, not a guarantee. Pilots will often go into side canyons and valleys if they feel there is something interesting to see and weather conditions permit. The helicopters are equipped with two-way intercom systems, which allow you to talk with the pilot throughout your flight. You are encouraged to pick up the microphone and share your interests with the piolot so they can tailor their the narration for your group. *An important note about the price: There are more expensive flights than this one, and cheaper flights as well. I prefer this one because when comparing this tour with others you need to look at the dollar per minute costs. You will find that this tour is a sound value. The listed times for these tours are the actual “in-air” times. I feel that an “hour-long” tour should be in the air for at least 60 minutes, not 55 minutes. 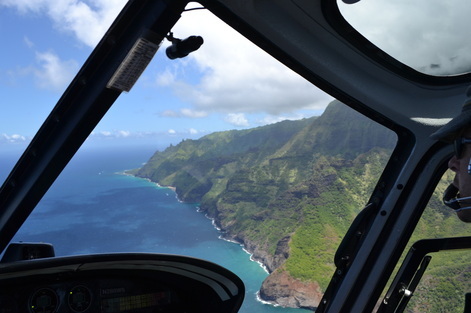 Five minutes during a helicopter tour on Kauai is a significant amount of time. 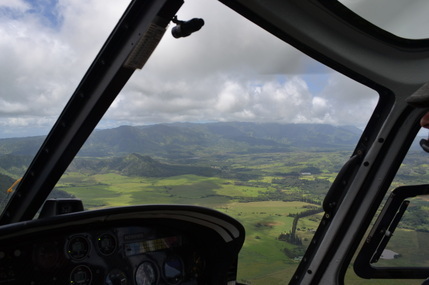 This full-hour gives pilots more time to descend lower into Kauai’s valleys and canyons and turn the helicopter for viewing and photographing the scenery from both sides of the helicopter. On this tour, they do not count the minutes to load, start and unload as part of your 60 minute tour time. I can book as many guests you want I if you reserve it early enough I can get everyone up at the same time in my side by side aircrafts! All passengers must be 10 years or older. Bring a jacket or sweater. Long pants and closed shoes are recommended. Wear plain dark clothes so you don't cast reflections on the windows and ruin everyones photos - don't be that guy! No loose objects are permitted in the helicopter. Cameras must have a strong wrist or neck strap. Maximum of 250lbs per person / maximum of 400lbs per couple. For flight safety, weights will be verified at the office. Please provide accurate weight information. When: Daily - AM and afternoon flights. Check in time is 45 minutes prior to your flight. The heliport is near the Lihue airport. You may cancel your flight with no obligations by notifying me at least 24 hours before your tour is scheduled to depart. “No-shows” and reservations canceled less than 24hrs before your scheduled flight time are subject to full charges.